It’s the ideal time to make like Marie and Kondo your cabinet—while you’re trading that winter cream for a light summer SPF, take a minute to organize, clean and freshen your beauty stash. 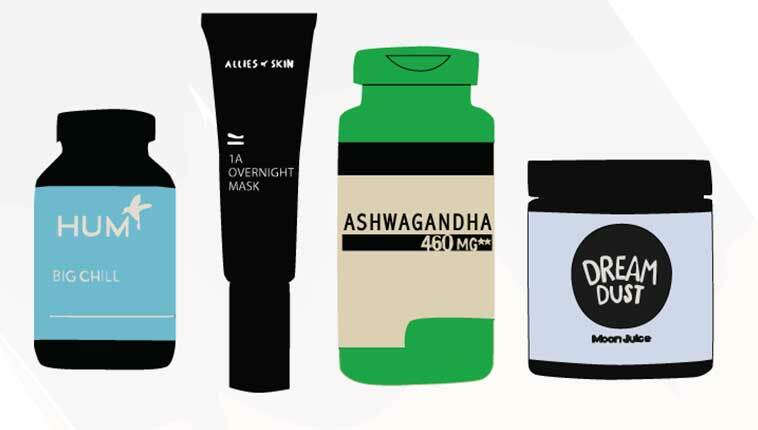 Keep the summer swap as simple as possible: start by looking at what you already have, and you just might find that the perfect summer serum was hiding in plain sight. Of course, you can do the following without rosé and some Rihanna but, in my opinion, they make it just a little more fun. Take every single thing out and see what you’re working with. I’ll bet you’ll find some long-lost goodies hiding in there! This is also the perfect time to take a nice natural cleaner and wipe down products, glass shelves and storage containers. It’s likely that when temps start crawling up, up, and up, you’re not going to be reaching for heavy, thick creams. If you have at least 1/4 of a container left, tighten the covers and put them in the back of your fridge. You’ll just put them back into your routine post-summer. Now that everything is clean and fresh, you can organize your products to make your beauty routine easy breezy. Storing “like” items will do away with the aggravation of not be able to find things. Put away serums together, masks together, sunscreens together, etc. Now that you’ve tidied up your beauty arsenal, it’ll feel good to see an organized collection of products that you love and have chosen with care. Now pour yourself another rosé: you’ve earned it. Image via Onomie Beauty instagram. Editor’s note: Their bright concealing eye elixir is a godsend for rosé hangovers. Drink the right rosé and avoid the hangovers. Other summer to-dos: get out the scarves, sunglasses, and Drunk Elephant SPF. Learn more about the famed Tres Belle Spa, owned by Allison Tray. Read client reviews, book appointments, and get expert advice. Only the best cosmetic doctors, skincare gurus, nutritionists, fitness and wellness professionals make it into our book.